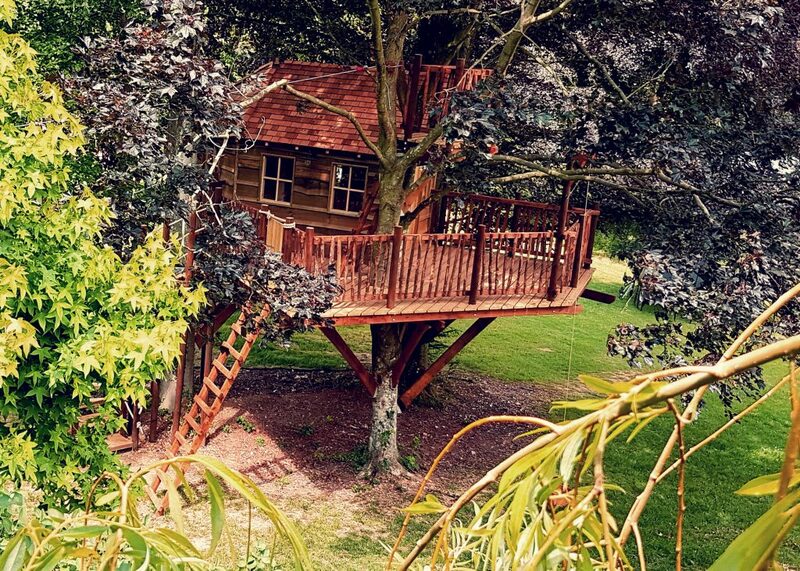 as well so they could share in the excitement. 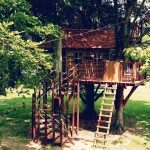 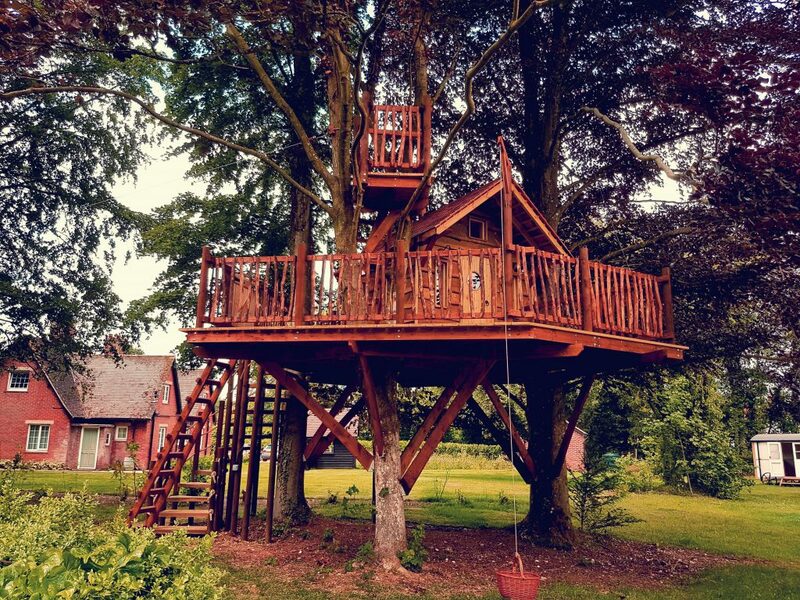 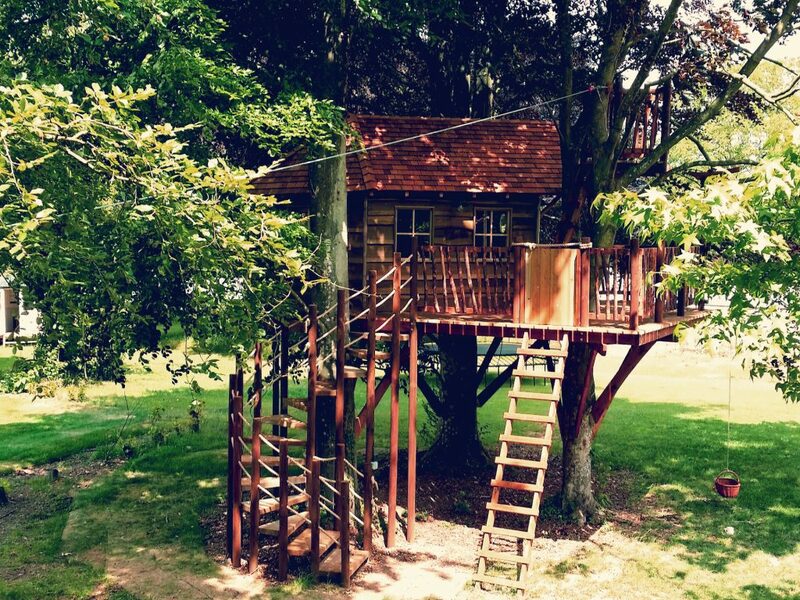 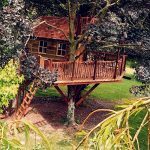 With a complete overhaul of the garden and house, the parents wanted a treehouse to be nestled, quite high up in between 3 trees to give their girls, who were well versed in the art of climbing, a way to get higher in the trees rather more safely than their current free climbing afforded. 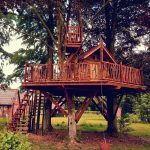 They also wanted a good size balcony facing the garden and little or no ground support so it had that magical, floating appearance. 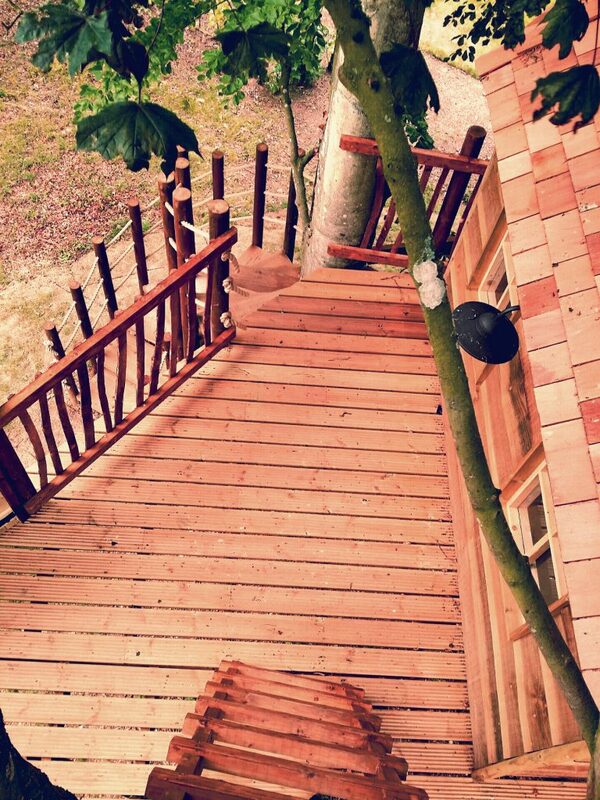 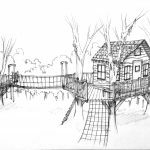 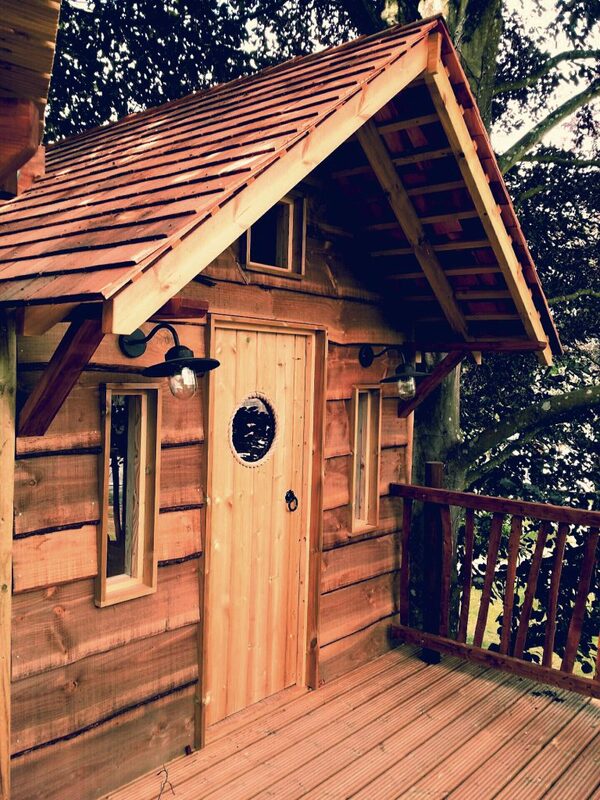 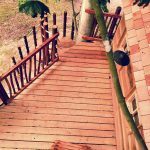 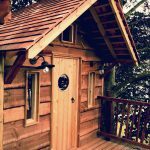 It was important for the client that the front aspect of the platform and tree house looked to be floating, with the only ground based support coming from the winding staircase up the left side. 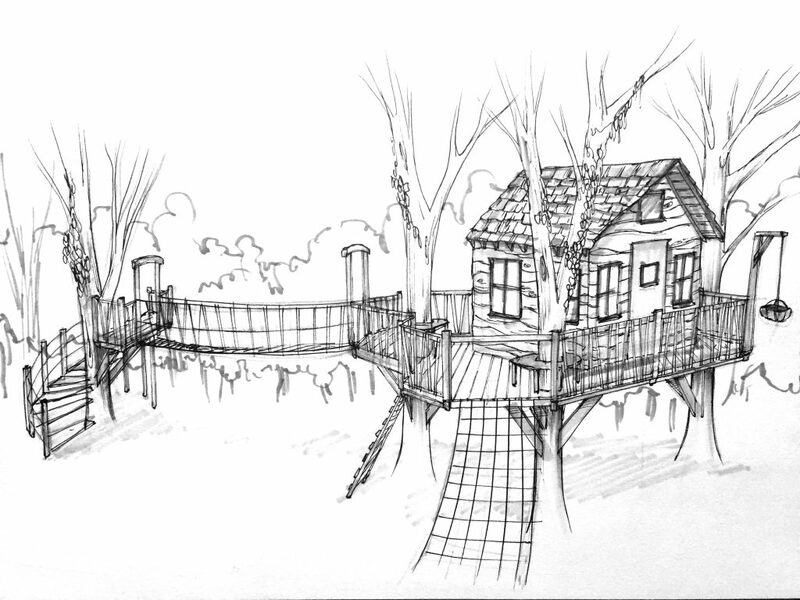 This was achieved by supporting between the trees with some custom brackets to allow for the individual movement of the trees and some thin (almost invisible) wire support to the front.